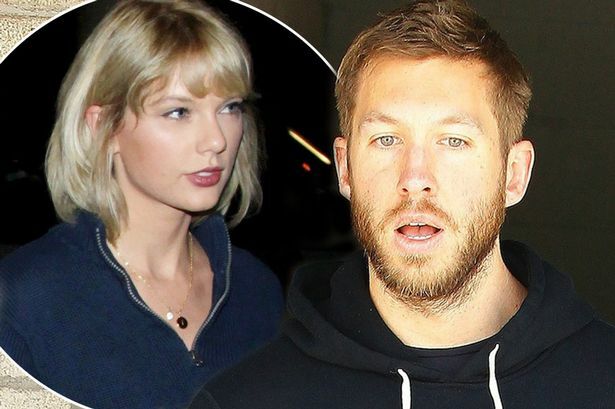 Calvin Harris seems to be flooding in the controversy that came up after the release of his latest hit “This Is What You Came For” and his breakup with Taylor Swift who has confirmed her participation in the making of the hit number. Apparently, the song was recorded in the collaboration of Rihanna and Harris and it was their mutual creation. However, the recent statement by his ex-girlfriend has caused the musician “feel bad” and damages his reputation. Media reports say Taylor Swift was creatively involved in creating the song. Also, rumors have set off some interesting gossips on social media and everyone is interestingly involved in what is happening between the former couple especially after Taylor disclosed she had written some of the lyrics of the song when she was on a date with Calvin Harris. She also claimed to have recorded an early demo on her smartphone. The reports further suggest that both Taylor and Harris had decided not to reveal Taylor’s role fearing it may overshadow the release of the song. Later, the Scottish musician recorded the track with Rihanna who has been a frequent collaborator of Harris in last few years. Moreover, Taylor decided to choose Nils Sjoberg, a pseudonym to keep the publishing rights. The song came up with a great success but the fame of this hit allegedly initiated an anonymous breakup between the couple. On the day of its release on 29th April 2016, Harris in an interview with Ryan Seacrest said he could not see the couple working together anytime soon. According to the sources, these words turned up as a breaking point in their love story which eventually made an official breakup within a month of the song’s release. Taylor’s manager confirms the star had penned the song and her comments are prompting Harris to clarify the situation. He further said our confirmation has made him to speak up about Taylor’s role in the track and he is now insisting he did not want to keep her role under the wraps. The above statement came to a reality when Harris twitted yesterday and praised Taylor for her contributions in his latest hit. He also shared a link of the statement given by the 26-year-old singer. Harris confirmed she sung some of its lyrics too. He said Taylor is an amazing lyricist and she shattered it as usual. Harris said he wrote the music and produced the track. The arrangements were done at his end. Moreover, he did not want to keep it a secret. He said it was Taylor who decided not to disclose her part and for this reason it was published with a pseudonym. Calvin Harris is very disappointed by his ex’s publicists that according to him have spun the matter to harm his reputation. He said he is hurt with what Taylor and her crew have tried to do with him. Harris also gave a mention to Taylor’s new romance with Tom Hiddleston. He advised her to focus on her new relationship instead of trying something that would make him to react.